True, your child will lose his baby teeth, and receive a whole new set of permanent ones. However, keeping baby teeth healthy and in place remains an important goal for parents and Birmingham children’s dentist, Dr. Angelica Rohner. Learn what this Diplomate of the American Board of Pediatric Dentistry recommends as best anti-cavity strategies. The Centers for Disease Control and Prevention assert that a full 20 percent of American children have at least one untreated dental cavity. Uncontrolled decay and gum disease lead to problems with speech, permanent tooth alignment, nutrition and even learning as some children sit in school with pain and dental abscesses. The best way to keep young smiles bright and healthy is simple prevention. 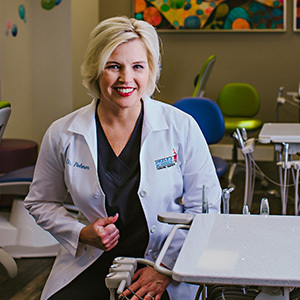 In her years of practice in Birmingham, children’s dentist, Dr. Angelica Rohner, has given young patients and their parents many practical tips to fight off tooth decay. Tip #1 Brush twice a day, and floss once a day. This recommendation from the American Dental Association pays big oral health dividends. Dr. Rohner tells parents to use a pea-sized amount of kids’ fluoride toothpaste and to supervise children until they have the dexterity to floss and brush correctly by themselves. 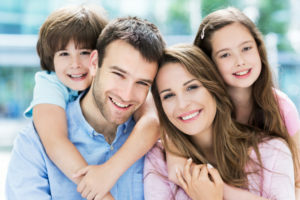 Tip #2 Get kids routine 6-month check-ups at Angelica Rohner Pediatric Dentistry. Beginning when that first tooth erupts, Dr. Rohner likes to inspect young mouths for decay, gum disease and tooth/jaw development. The idea is to catch oral health problems while they are still small to limit damage. Gentle hygenic cleanings remove plaque and tartar–the leading causes of decay and gum disease. Tip #3 Use fluoride treatments and plastic sealants. These simple dental services strengthen young enamel and even help with dental sensitivity. Tip #4 Encourage nutritious foods. Parents should set a good example of eating low-fat meats and high-calcium dairy products while loving fresh fruits and veggies. Also, avoid sugary soda pop and sports drinks–the things that cavity-causing oral bacteria thrive on. Tip #5 Hydrate. Kids, and adults, too, need plenty of fresh water daily–at least 8 full glasses. Water removes food residues from interdental spaces and tooth surfaces and also increases saliva. Saliva is nature’s own cavity preventive. Tip #6 Kids should wear athletic mouth guards. They protect against the obvious dental injuries–tooth evulsion and jaw fracture–but also cushion teeth to avoid small cracks, chips and teeth clenching. Over time, these wear and tear injuries are entrees to tooth decay. For the best in pediatric dental care, go to children’s dentist, Dr. Angelica Rohner in Birmingham. She and her friendly team are passionate about oral health for kids. Patient teaching and parental involvement in comprehensive treatment plans produce beautiful young smiles that will last a lifetime. Call the office today for an appointment.